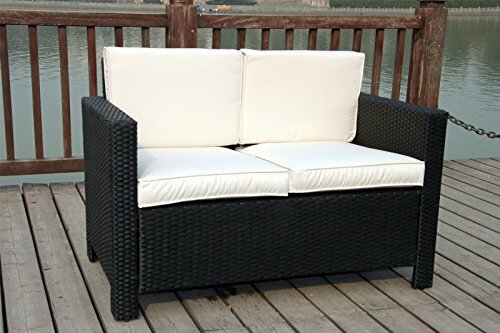 New rattan wicker conservatory outdoor garden furniture set. 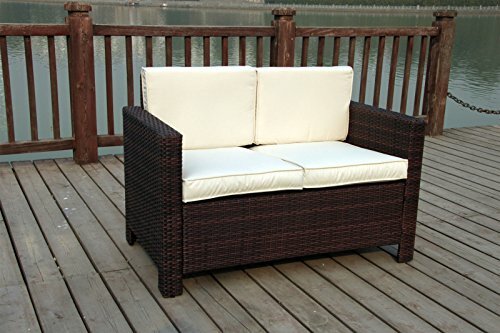 This luxury high quality rattan set is taken from the madrid range ,available in light mixed brown, dark mixed brown or black. 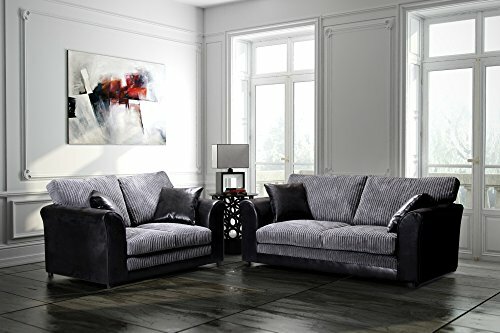 The set consists of a 2 seater sofa with cushions. 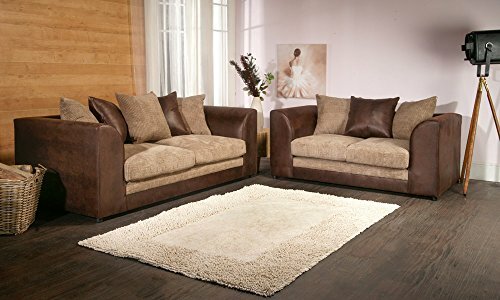 All seats include thick base and top cushions. Suitable for any indoor or outdoor living space. Our cushions are 100% waterproof and have a expensive pipped finish. New rattan wicker conservatory outdoor garden furniture set , this luxury high quality rattan set is taken from the madrid range,available in light mixed brown,dark mixed or black.the set consists of a 2 seater sofa and you have the option of a coffee table.all seats include thick base and top cushions.suitable for any indoor or outdoor living space.our cushions are 100% showerproof and have a expensive pipped finish. 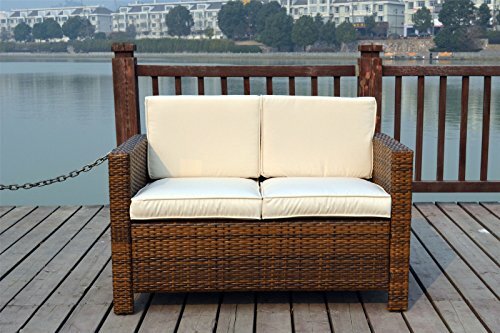 Set dimensions, two seater sofa- 1296573cm (wdh) ,made from fully weatherproof pvc rattan,this maintenance free set is designed to be left outdoors all year round without the need for covering. The set can be easily washed with a hose pipe. 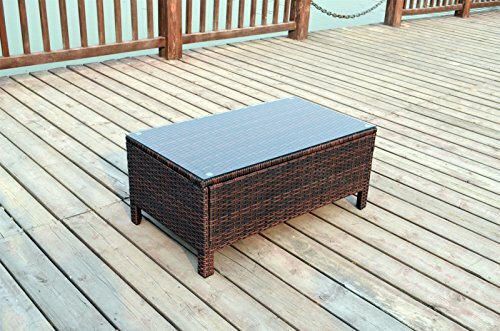 It is also uv light resistant to ensure that the rattan does not fade in sunlight,the covers are easily removed for washing but we recommend that they are kept in side when not in use. 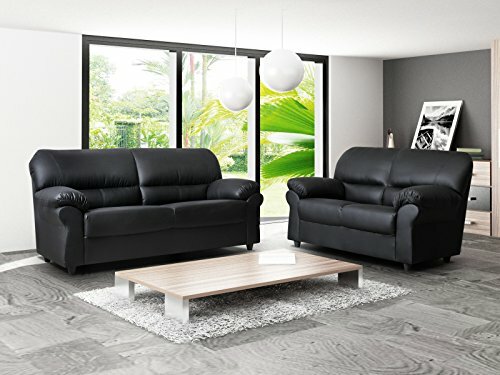 The cushions are uk fire and flame resistant,making them perfectly safe for both indoor and outdoor use. 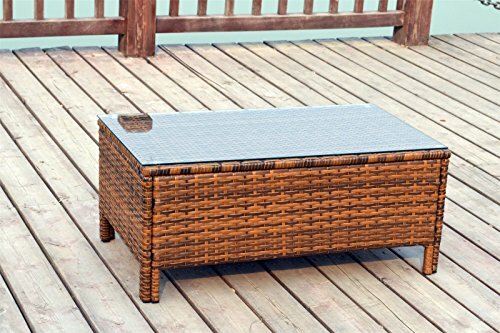 It is also uv light resistant to ensure that the rattan does not fade in sunlight ,the covers are easily removed for washing but we recommend that they are kept in side when not in use. 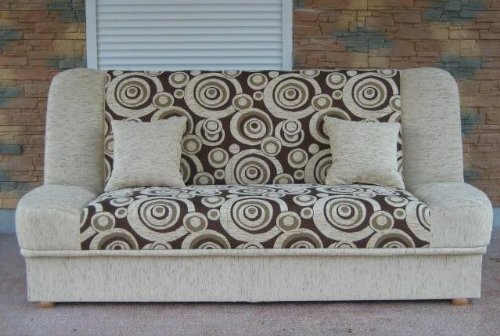 The cushions are uk fire and flame resistant, making them perfectly safe for both indoor and outdoor use.